Residents and staff of Seasons Retirement Communities deliver turkeys to 20 food banks across Ontario and Alberta this December. “HungerCount 2016”, a report from Food Banks Canada indicates that as of March 2016, food banks assisted 335,944 people in Ontario and 79,293 in Alberta. Of those numbers, 16.1 per cent of food bank users in Canada are seniors, aged 65 and older. 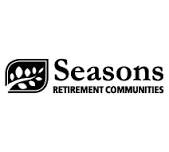 Seasons Retirement Communities looks to help seniors and families put food on the table this holiday season with a total donation of 1,800 turkeys to local food banks in both provinces. “Partnerships, like the one Food Banks Alberta has with Seasons Retirement Communities, are worthwhile in several ways. The clients of food banks receive a wonderful addition to a holiday meal and food banks don’t have to budget to pay for these highly needed items, and the residents of the retirement homes get to actively support their community. It’s truly a win-win-win situation,” says Stephanie Walsh-Rigby, director, Food Banks Alberta.